The growth of peer-to-peer lending was a direct result of the 2008 economic recession. 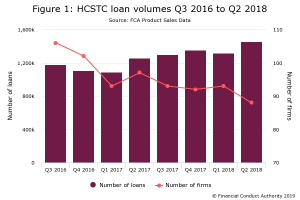 Banks vacated the consumer and SMB lending space, which allowed fintechs to capture the demand left by that gaping hole. According to a recent study, by the end of 2024, the P2P lending industry will be worth $897.85 billion. The market expects to grow at a CAGR of 48.2%. Hitting a trillion dollars an important milestone. But with traditional banks and lenders investing heavily in getting their digital lending game right, it is critical to evaluate the source of the next wave of innovation in fintech lending. Though crypto lending is on the verge of hitting the mainstream, it is tokenization that we believe can change the face of the industry in myriad ways. TOKENIZATION: The New Disintegration Technique? Tokenization is a method that converts real world assets into transferable digital tokens that live on a blockchain. Liquidity: Liquidity is a major concern when people invest. From real estate to VC funds, many lucrative assets are constrained by their ability to provide the investor a timely exit. Thus, investors are stuck with an investment for 5 – 10 years because they have no way to trade it. Tokenization brings in the necessary liquidity by converting interest into a tradeable asset. Monetization: Many assets such as patents, copyrights, and carbon credits do not have a physical identity but exist in a digital format. The easiest way to convert these into their monetary equivalent is to tokenize them. Access: 99.9% of investors do not have access to the next Facebook because they cannot invest the minimum 10 million dollars required for getting entry into Peter Thiel’s next fund. Tokenization creates democracy of access as it allows the everyday investor to bet just $1,000 on the next unicorn. Tokenization empowers inclusion of retail investors, and their participation is a game changer in the long term. Use Case: For instance, you would like to own the Empire State Building (ESB), but you do not have the estimated $3 billion required to buy the building. On the other hand, ESB is on sale and its owners can’t find a ready buyer for such a large asset. Selling it piecemeal would degrade its value. With the help of tokenization, you can convert ESB into 3 billion tokens worth $1 each and sell it across the investing world. The investor gets to own an iconic asset at $1, and the seller will have a larger buyer universe to pitch a $3 billion asset. How Would Tokenization Work for P2P Lending? Tokenization would allow P2P loans to be funded by thousands of micro investors. Instead of institutional investors controlling the lending on platforms, the ‘P’ in P2P lending can be an individual investing $100 in a loan. The loans would become truly tradeable, and liquid. If you invested in a 3-year loan but need the money back after 6 months, you can simply sell your digital asset on an exchange at a fair price. Crypto P2P loans can enter the mainstream with tokenization, allowing development of fixed income instruments in crypto. This will allow wider participation and lure institutional investors to the market. Blackmoon has launched a tokenization platform on this theme. Its Prime Meridian real estate lending fund is built on a similar thesis that tokenization has the power to change P2P lending fundamentally. It is in a strong position to capture a currently niche market, which will soon to grow to encompass the primary P2P lending industry. A P2P loan is not liquid, and the lender usually has to see through the period of the loan tenure. It can be difficult to find a third party looking to buy the same loan. The lender might need to sell at a deep discount due to lack of liquidity. Tokenization will help create more buyers/sellers and a functioning secondary market for the sector leading to more liquidity. The process of tokenization allows for fractionalization so that the lender can sell any portion and at any time. This breaks everything you own into its digital equivalent. This enables users to create a stock or single proof of ownership tied to the specific asset. It will also make investing easier for the average investor. Tokenization reduces trading friction and transaction costs. It would also make fractional ownership simple and easier to execute. As the financial asset is already divided into tokens, there would no duplication of legal costs after every transaction. With integration of the tokenization process in P2P lending, lenders can list their assets as collateral. It is through tokenization, that assets such as patents, intellectual property, or even branding, can be used for raising loans. Moreover, tokenization can allow a brand new form of P2P funding to arise. Tokenized assets can also be offered for collateral funding. So if you own 10% of an apartment, you can borrow against that fractional asset on the alt-lending market. It can spread risk across a variety of loans. Tokenization will attract more investors to alt-lending platforms as you can now diversify risk for even an amount as small as $100. Investors have more freedom to invest around the globe. Tokenized currencies enable investors to trade in any geographic area they wish to. Now an American Investor can lend to Asian borrowers in US-denominated loans and Asian accredited investors can invest in certain property loan platforms that are open only to a certain class of investors. Tokenization is an interesting development with myriad applications in finance. One of its biggest impacts should be felt in the P2P lending industry. With the advent of new players like Blackmoon, P2P lending 2.0 is on the horizon.